Granite is one of the most popular materials for outdoor kitchen countertops, and it’s easy to see why. It’s beautiful, durable, and comes in a near-endless variety of natural colors. But to keep your granite countertops looking great, you’ll need to take a few proactive measures. Here’s how to care for your outdoor kitchen’s granite countertops. Always use a cutting board when chopping or dicing foods. Avoid scraping stoneware or other rough materials along the surface. Be especially careful with wine, oils (such as salad dressing), vinegars, and citrus fruits, since these can all discolor granite. Consider storing these on a tray as an extra precaution. If you do spill something, wipe it up right away with a clean cloth. 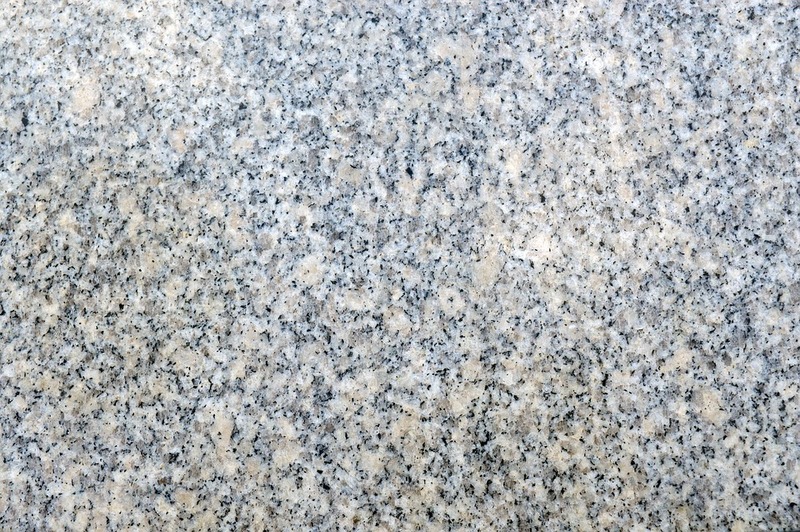 Some granite is slightly porous, meaning liquids can seep down deep into the stone. That can be bad news if you spill a beverage or cooking oil, since the stain can go deeper than you can actually clean. Those tiny spaces can also harbor bacteria and other microorganisms. That’s why it’s vital for many granite countertop to be sealed—but not all granite varieties need it. (Dark granite in particular may need or even react well to a sealant). When in doubt, contact your outdoor kitchen contractor and find out for sure! If you believe your granite has been sealed in the past but you’re not sure of its current state, do a simple water test: pour a small amount of water onto the counter surface and observe. If the water beads on the top or takes a very long time to absorb, the sealer’s in great shape. If it takes only a few minutes for the granite to absorb the water, it’s time for a new sealing job. There are a lot of sealers on the market, so you’ll need to do your research. Be sure to choose a sealer that is water-resistant, since your outdoor kitchen will be exposed to the elements. The highest-quality sealers often contain fluorocarbon alphatic resin, which can protect your countertop for several years. A slightly less expensive option is a sealer that contains silane or siloxane (not to be confused with silicone). These sealers may need reapplication every 3 to 5 years. Avoid cheap sealers, or ones that contain silicone or linseed oil. These can do more harm than good. Most sealers are spray-on and don’t require any difficult polishing steps. Be sure to follow the instructions on the bottle, of course—and make sure the countertop is as clean as possible before application. Granite can be discolored by acids and other harsh cleaners, so when it comes to cleaning, always start conservatively. Avoid abrasive cleaning pads, which can dull your counter’s shine, and opt instead for soft cloths or soft-bristled brushes. Microfiber materials often work especially well. For everyday cleaning, a mild dish soap and hot water works wonders. Use a soft cloth to first remove dust, pollen, and other debris, and then wipe everything down with soapy water and a cloth, soft-bristled brush, or sponge. Be sure to wipe down/rinse one more time to avoid the buildup of soap residue. In many cases, this is the only cleaning method you’ll need. Time is of the essence, though—the sooner you can wipe up a stain, the better. If you’re having a little trouble getting a stain up and need a little more power, you can fill a spray bottle with isopropyl alcohol with diluted with an even amount of water. Spray the solution onto the trouble spot, leave for up to 5 minutes, and then rinse and wipe with a soft cloth. For the toughest stains, resist the temptation to try a high-power cleaner, which could contain chemicals that can damage your countertop. Instead, make a paste of baking soda and water (or a tiny bit of hydrogen peroxide), place on the stain, and leave on overnight (or for up to 24 hours if needed). You can cover this poultice with a bit of plastic wrap secured with painter’s tape. Wipe the paste away with a damp cloth.